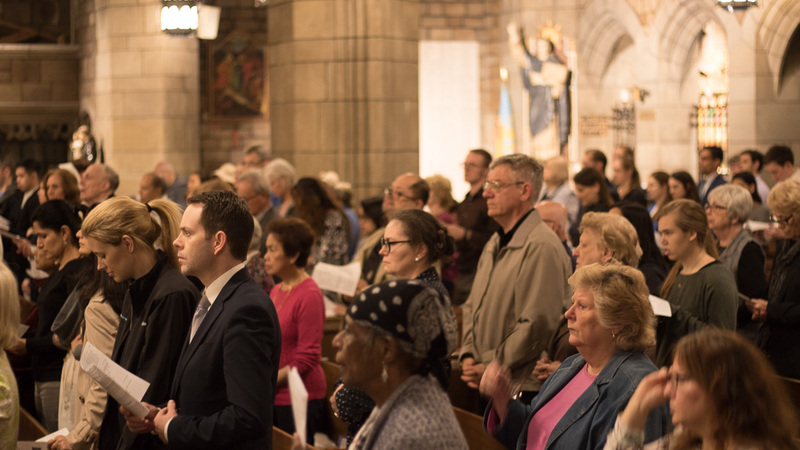 On October 11, at the Church of St. Vincent Ferrer in Manhattan, The Saint John Paul II Society celebrated a special Holy Hour together with the Frassati Fellowship of NYC in anticipation of the 100th Anniversary of the Miracle of the Sun at Fatima. Monsignor Slawomir Oder, postulator of Saint John Paul II’s cause for canonization, gave a reflection. The following evening, October 12, His Excellency, the Most Reverend Bernardito C. Auza, Titular Archbishop of Suacia and Apostolic Nuncio of the Holy See to the United Nations, celebrated a vigil Mass for the 100th anniversary of the Miracle of the Sun. 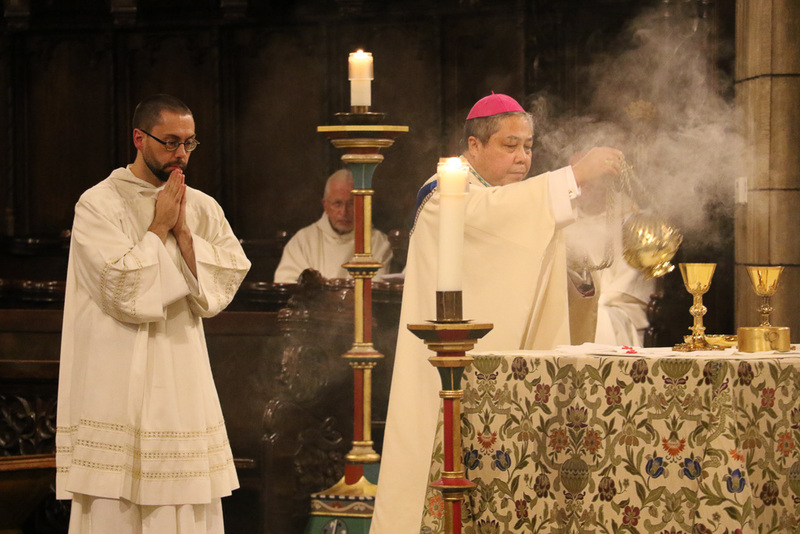 Monsignor Slawomir Oder preached the homily. 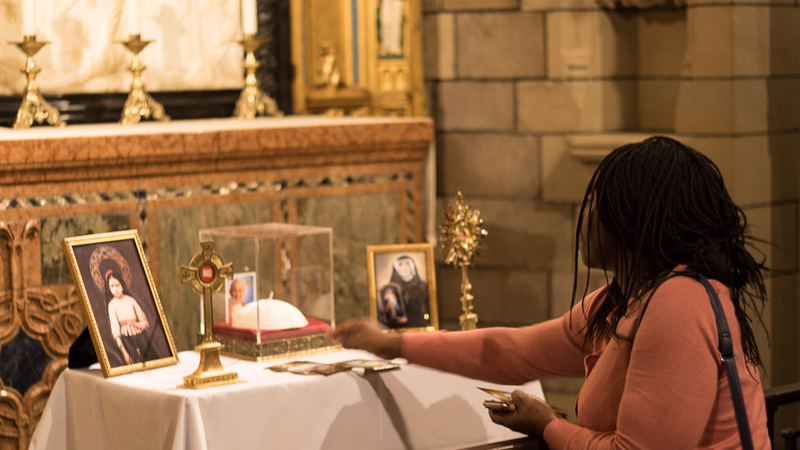 Relics of Saint Jacinta of Fatima – the Church’s youngest non-martyr saint – were presented together with relics of St. John Paul II and St. Faustina, the Divine Mercy visionary and were venerated by hundreds of the faithful. A heartfelt thank-you to all who came out for these events… and to all who could not be there but were present in prayer by lighting a candle!